The Petrochemicals Europe flowchart traces the main steps between raw materials and feedstocks through to building blocks, derivatives and everyday products. 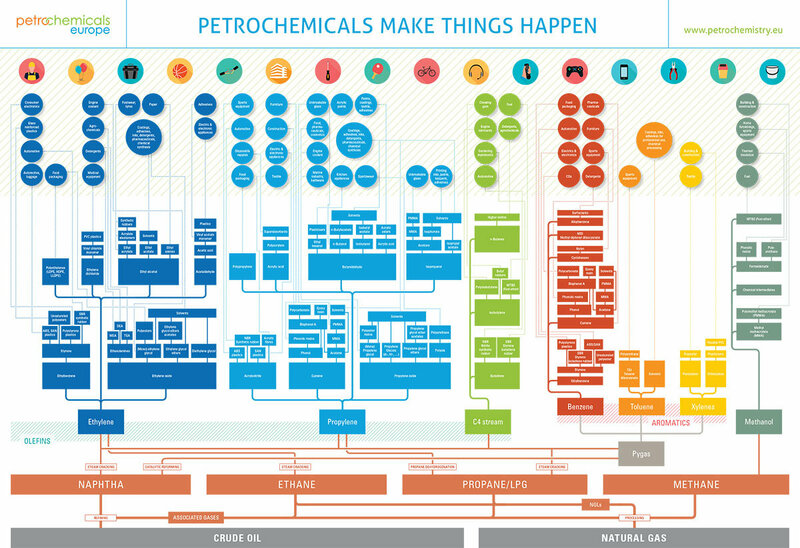 Take a tour of our flowchart and discover the added value of petrochemistry in today’s society. Choose the petrochemical building block and find out its whole chain of derivatives, definition for each substance, a fact sheet with their main applications and properties that they bring to everyday products, as well as links to other websites for more in-depth information.